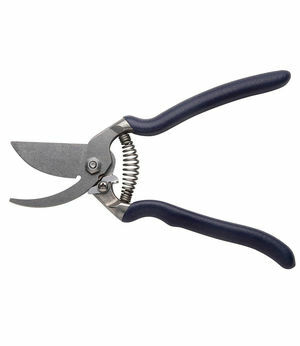 $141 Snip flowers, trim evergreen shrubs and prune branches with ease. High-carbon, stainless-steel construction for durability. Sharp, precision-ground blades for clean, exact cutting. Sure-grip handle reduces fatigue. Blades lock for safety. 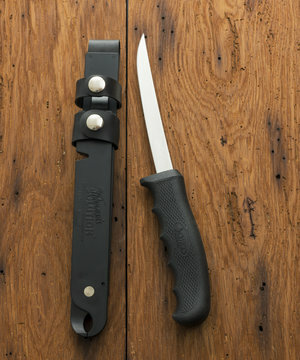 $99 Features an extendable, flexible high-carbon, stainless steel blade, pivoting sheath/gripper, built-in line cutter and hook sharpener/sharpening stone. 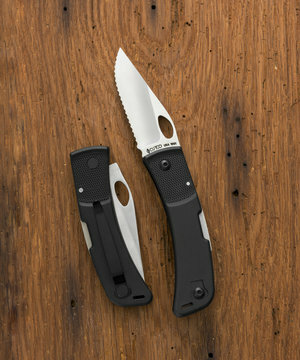 Adjustable blade locks into position from 6" to 9". 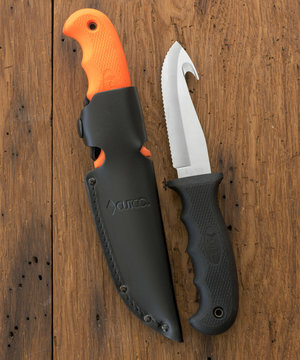 $209 You will depend on the CUTCO®/KA-BAR® Outdoorsman to clear brush, shred wood for a fire and cut paracord. 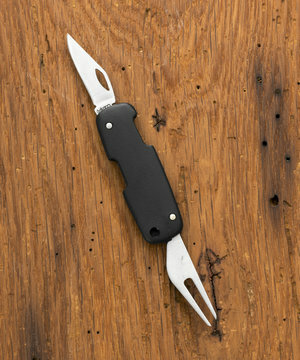 Includes black and green interchangeable handle scales. Sheath included. 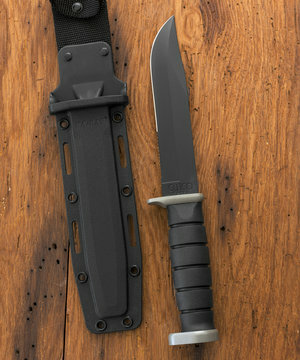 $119 This knife eliminates the need for a separate gut hook tool and is exactly what you need for field dressing. The blade, available with a Double-D® or straight edge, is ideal for skinning. Includes leather sheath and lanyard. Makes a great gift and can be engraved. 4-3/8" blade. 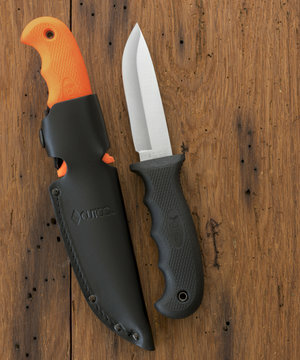 $205 This will become your favorite outdoor knife. Combination straight- and Double-D®-edge blade maximizes cutting potential. 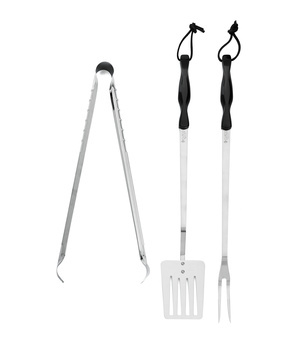 Durable, slip-resistant handle gives you a sure grip, even in wet conditions. Corrosion resistant. Sheath included. 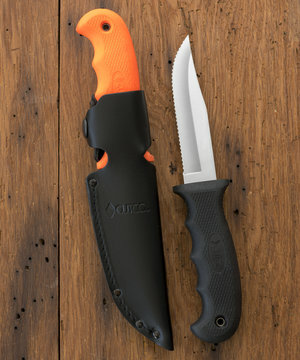 $103 This versatile hunting knife is available with a Double-D® or straight-edge edge blade. Durable, slip-resistant handle in choice of two colors. Leather sheath and lanyard included. 4-1/2" blade. 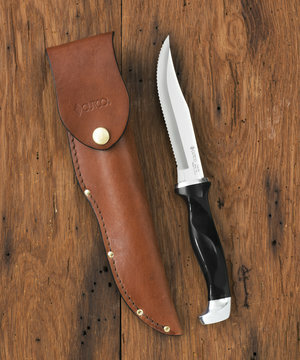 $192 Dont be fooled by its good looks - this is one serious hunting knife. 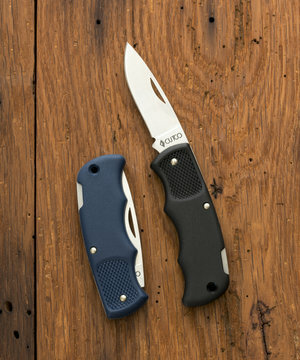 Sharp clip point blade, available in straight- or Double-D® edge, stands up to the rigors of hunting. Its comfortable ergonomic handle offers maximum control. Leather sheath included. Is engraveable and makes a great gift. 5-3/8" blade. 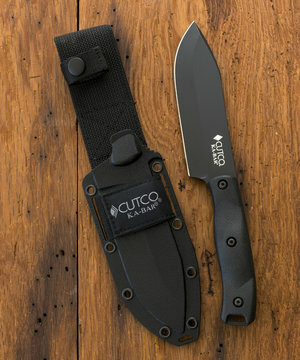 $103 Clip point design allows more control for intricate cutting. Sharp blade available with Double-D® or straight-edge. Durable, slip-resistant handle in choice of two colors. Leather sheath and lanyard included. 4-3/4" blade.